The professional moisture sensor displays on the touch of a button the thirst of your plants. In particular with big planters it is hard to guess how moist the soil inside is. 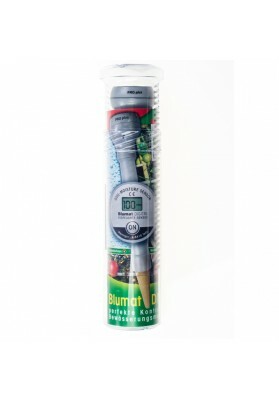 Blumat DIGITAL gives you reliability for plant watering, by giving you the information of which soak power the roots need in order to extract water out of the soil.